This past weekend, I celebrated our annual Día de los Muertos (Day of the Dead) Mass at Calvary Cemetery in East Los Angeles. 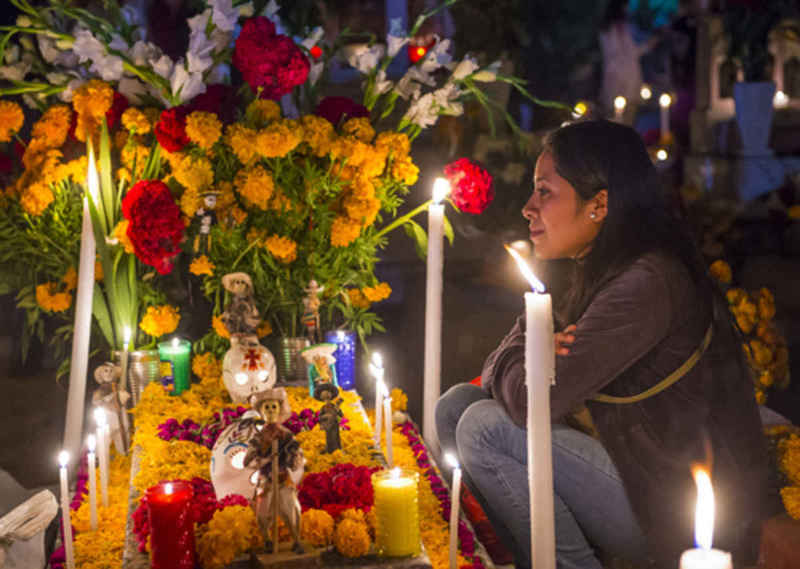 Día de los Muertos is a beautiful cultural expression of the Church’s traditional All Souls’ commemoration, in which we remember and intercede for our loved ones who have gone before us. Also, last week I had the privilege of celebrating that commemoration at All Souls Cemetery in Long Beach. This month of November is traditionally the month when the Church asks us to think about our mortality and the “last things” — death and judgment, heaven and hell. These beliefs and customs are another reminder of the “realism” that is at the heart of our Catholic faith. The reality of every human life is that there is a time to be born and there is a time to die. But this is not the end of the story. As Catholics, we understand these last things in the light of Jesus Christ — the Son of God who came to become a son of Mary, who came to share in our human condition. By his love, he was born in the womb of his mother and he suffered death. But he rose again on the third day and ever since then, human life has been open to the hope of the resurrection. Our society today needs the realism of the Gospel, the realism of the Church’s traditions. On the one hand, death surrounds us. Our news is filled with reports about people being killed or dying tragically. Just pick up the newspaper or turn on the nightly news. We also have a strange fascination with death in our popular entertainment. While on the one hand, we treat death as a spectacle, something we watch, on the other hand, death is a topic we seem to want to avoid. This is part of the reason that our consumer society is obsessed with products promising “health and fitness” and “anti-aging” schemes to combat the natural processes of getting older and closer to death. The sad truth is that in our society and culture, we are afraid of death. This unspoken despair is behind some of the most alarming trends in our society — the push for euthanasia, the dramatic rise of suicides and addictions, most tragically among our young people. But the reality of our lives is that death is not the end of our journey. In Jesus Christ, death is a crossroads that leads us to a new beginning, to a love that never ends. Eternity is our destiny! This is the goal of this earthly pilgrimage that we are walking. This is our hope and our hope will not disappoint, as St. Paul used to say. In these days of November, the Church celebrates All Souls’ Day and All Saints’ Day. And these feasts belong together. Every soul is created to be a saint. That is the reality of our lives. This is what God wants for your life and for mine. It is so much more beautiful than we could ever imagine. We are born to be God’s children, and when we die we will belong to God forever in heaven. The life of every saint in heaven begins here on earth — in the choices we make, in the way we choose to live. That is why the Church gives us these “days of the dead” in November — to remind us why we are living. Jesus Christ came to share in our human life and in our death. He lived and died, and he rose again. And so if we die with Jesus, we will rise with him, to live forever in his kingdom of life and peace. If we follow Jesus in this life — if we take his hand and live according to his plan of love — then he will raise us up. A grave can only hold the body. The soul who believes in Jesus Christ is free, no chain can hold it down. Pray for me this week and I will keep praying for you. And let us intensify in these days our prayers for those who have gone before us marked with the sign of faith. We are all connected — the dead and the living and every one of us who hopes in Jesus. We are all connected in a communion of love, a Communion of Saints. Let us ask Mary our Blessed Mother to intercede for our loved ones — for God to grant them salvation, and let the perpetual light of eternal life shine upon them.